Thanks to Shari, Allison & Catherine for putting up with my playing around the house all the time; to my parents and family who gave me all their support through the years; to Jim, Fergus, Daniel, Don, Paddy, Jean, Duane, and Andrew for adding so much to this project; to Rick & Kevin for their knob twiddling (or was it mouse clicking) expertise; to Hammy for the new low D; to Dr. Kevin McCann (RIP) for showing me what was out there; to Planxty & the Bothy Band for cutting those early albums; Olav Saeta, University of Oslo and Eija Kukkurainen, Department of Music Anthropology, University of Tampereand and Richard Robinson for help in identifying tunes; and to my co-workers over the years who have made it possible for me to not let work get in the way of my fun. 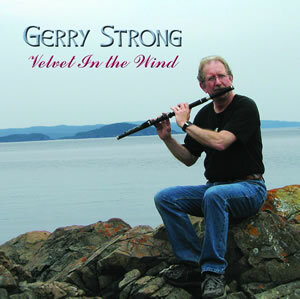 Recorded at Record Time Productions, St. John’s, Newfoundland, April –June, 2008. The first two of these are from Port au Port fiddler Emile Benoit, and the third is from Rufus Guinchard, originally from Daniel’s Harbour, two of our most renowned fiddlers. Emile composed Le Reel de la Pistroli for a television appearance in New Brunswick, and wrote On the Way to Norway while on the way to Norway. Where else? In the absence of instrumentalists, Susannah Perry used to sing tunes for dancers and passed this one on to Rufus. I might have the parts in reverse order. More tunes from Rufus Guinchard, for which he had no names. The last one reminds me of another of his called The Bluebird, that I recorded with my band, A Crowd of Bold Sharemen. Another tune from the fiddle of Emile Benoit. Daniel and I first played it together sitting around a table in Fogo last summer and it stayed with us. The Swallow’s Tail is one of the first reels I ever learned, and it has since become a very popular Newfoundland tune. I first got it from an old Ryan’s Fancy LP, although this version comes from a recording by Dervish. I originally learned The Road to Glountane being played by Pat Simmonds, a friend in Toronto, as a fling. It quickly became a favourite once I “reelized” it. The Lions was inspired by the view from a lonely hotel room in Richmond, BC, which looked across at the Lions, a prominent landmark in Vancouver. For a few of the twenty years I played with Tickle Harbour, we were lucky enough to have the great Cork fiddler Seamus Creagh play with us. This song tells the story of how he nearly lost his fiddle at the Newfoundland and Labrador Folk Festival. It has the same melody as The Waterford Boys, a song he used to sing a lot with us back then and that Tickle Harbour recorded on a CD called The Brule Boys In Paris. Another melody that I love. I had been playing it around the house and could just imagine Duane’s guitar style behind it. Duane maintains that Willie Nelson, like himself, must have been influenced by gypsy jazz guitarist Django Reinhardt. Maybe that’s why I thought his guitar sound would fit so well on this classic tune. Old Papper was written by Otis Thomas and named for Dave Papasian, both good friends of mine in Cape Breton and fine musicians. I had a book of tunes with The Maids of Mount Cisco in it but forgot the tune after losing the book. I was telling this to Ray Carey, a fiddler in Stephenville, and a short time later he sent me a copy of the book in the mail. The tune is included here to say thanks to Ray. I first heard Susan Cooper’s played by the Chieftains on some country show with Ricky Skaggs and thought it went well after the Maids. It was composed by Ronnie Cooper from Shetland. Paddy Mackey was renovating my kitchen and I had to go get a bag of nails. When I got back to the house, I heard the first three notes of a tune on the radio just before I turned off the car. Those three notes stayed in my head as I walked up the path and when I sat down to try and play it, this is what came out. I wondered if it was something in my head that I had heard before; hence the name. I’ve played it for many people since and no one recognized it, so I’m calling it mine. I should have called it The Bag of Nails. The other two I got from Richard Robinson’s on line ABC collection. Rønnaug Ripstrond is an old fiddle tune local to Gudbrandsdalen (the communities Skjåk, Lom and Vågå, in the central/northern part of southern Norway). Named for a lady living in the second part of the 19th century, this tune may have been her favourite for waltz-dancing. She would have often asked the fiddlers to play it – a traditional way for fiddle tunes to be “baptized”. Pelimannin aamu (Player's Morning), was composed by Antti Vesterinen, a famous fiddler born in 1908 in central Finland. This version varies slightly from the original, proof that the folk process is alive and well in Finland. Three of Rufus’ tunes. Hayward Prosper was a shipmate of Rufus who whistled half a tune and couldn’t remember the rest so Rufus made up the second turn. Old Bill White was a fiddler who also played the whistle. I liked this tune the first time I played it but since not many of the local fiddlers picked it up, I’ve always wondered if Bill played it as a whistle tune. Lizzie Payne was Rufus’ grandmother who accidentally walked off a cliff to her death on a stormy Northern Peninsula night. I played my first folk festival in the late 1970’s in Gros Morne National Park, Bonne Bay, Newfoundland, where I first met many of the musicians with whom I've had the pleasure of playing over the years. I had written this air without a name, and since I was asked to play it at the festival, I decided to christen it with the name of the site where the festival was held, beautiful Kildevil Lodge in Lomond, Bonne Bay. A Newfoundland twist on the old English folk song, Barbara Allen. My cousin John Drover learned it from our Uncle Harry and taught me the air. I tried to remember it as closely as I could but I sang it at a house party once and was told by somebody there I was singing it wrong. Now that didn’t go over well….it might have been different, but never wrong. Anyway, he sang it “right” but his air was Sweet Betsy From Pike, which I knew was not right. Not necessarily wrong, but certainly not right, the way my cousin sang it. Many years later I had the chance to hear a recording of my uncle singing it, and it’s pretty close to the way I’ve sung it here. I got O’Mahoney’s from Jon Goodman, a mighty flute player living in Halifax, Nova Scotia. It was composed by accordion player Martin Mulhaire, for his wife Carmel Mahoney in the 1950s. The Hunter’s House comes from a recording of Paddy Glackin and Jolyon Jackson. I’ve always loved the melody of this Newfoundland song, written by John Grace, describing the tragic loss of six out of seven men and their trap skiff out of Petty Harbour in 1852. The Self was the name of a dance and the tune that accompanied it on the Burin Peninsula, but was apparently played as a waltz in Bonavista Bay. Geoff Butler played it for me one evening back in the 70’s, and I thought it pretty well identical to a tune called Trip to the Cottage that I had just learned. Colonel Fraser is the king of flute tunes…he should have been a General. Being a tune of Scottish origin, I thought I’d take the Scottish approach in this set and change rhythms instead of keys between tunes.